Looking for a tropical island getaway? Then Fiji is the ideal destination. The country boasts 333 islands, set in the heart of the turquoise South Pacific between Hawaii and New Zealand. 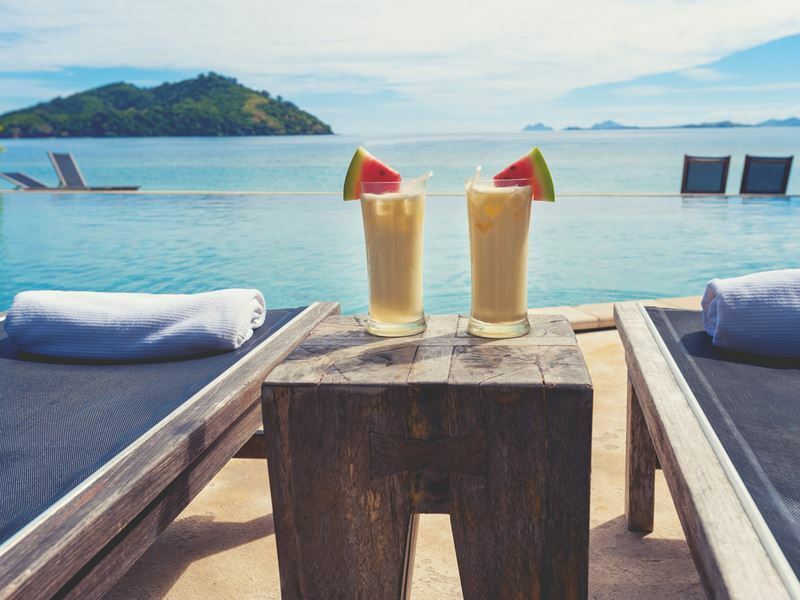 Fiji is a popular wedding and honeymoon destination for its powdery white beaches and rich coral reefs where you can snorkel to see tiger sharks and sea turtles. Hike through rainforests to traditional villages and experience a mix of Melanesian, Polynesian and Indian culture. Find out everything you need to know about visiting Fiji, from flights to visas and festivals, in this guide. 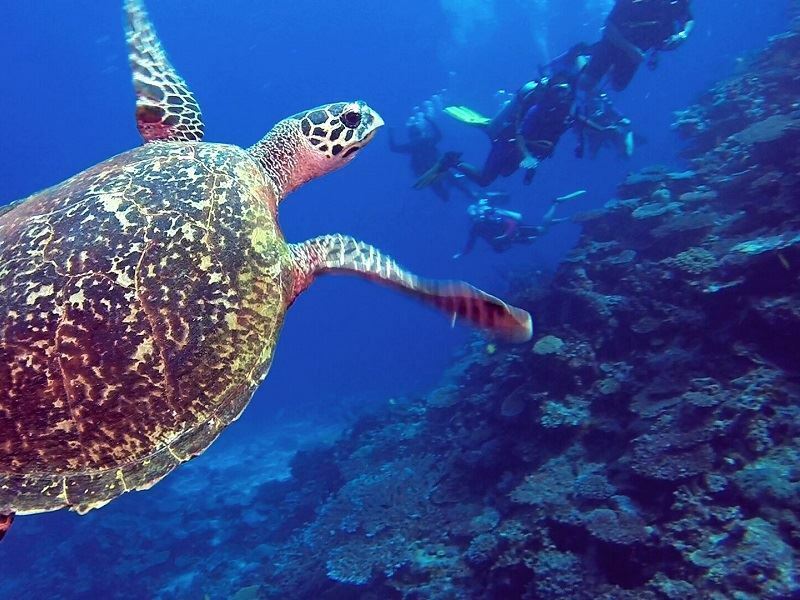 The best time to visit Fiji is in the winter season, with the best visibility for diving between June and October. However, Nadi on the west coast of Viti Levu is usually dry and sunny all year-round, whereas Suva on the east coast experiences frequent showers. Winter is also the busiest time on the islands and it can become crowded during June and July when the Australian and New Zealand school holidays kick in. Accommodation can also be more expensive during this period, so book well in advance. 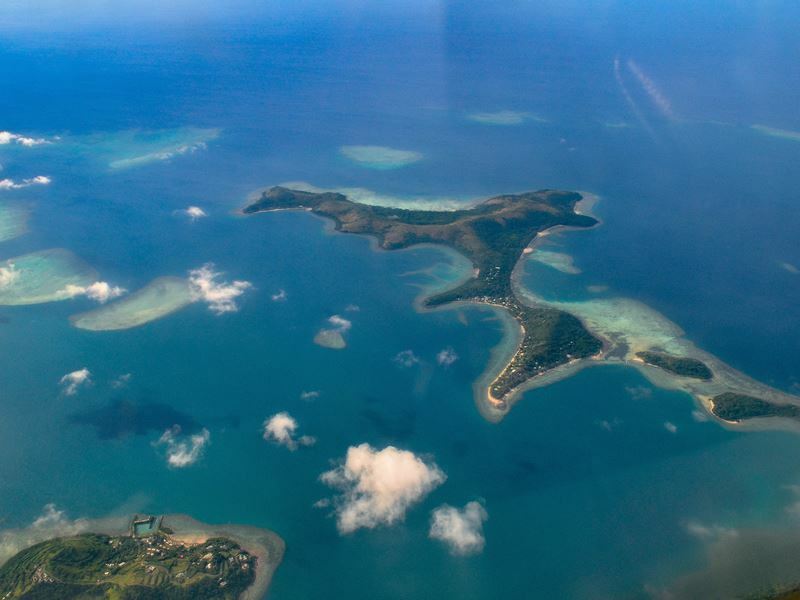 There are less visitors and prices are lower in Fiji’s wet, summer season. If you visit during this time, you’ll likely experience great weather in the early mornings and late afternoons, with daily downpours mid-afternoon and high humidity. If you’re travelling in the summer be aware that some dirt roads can become impassable due to the rains. 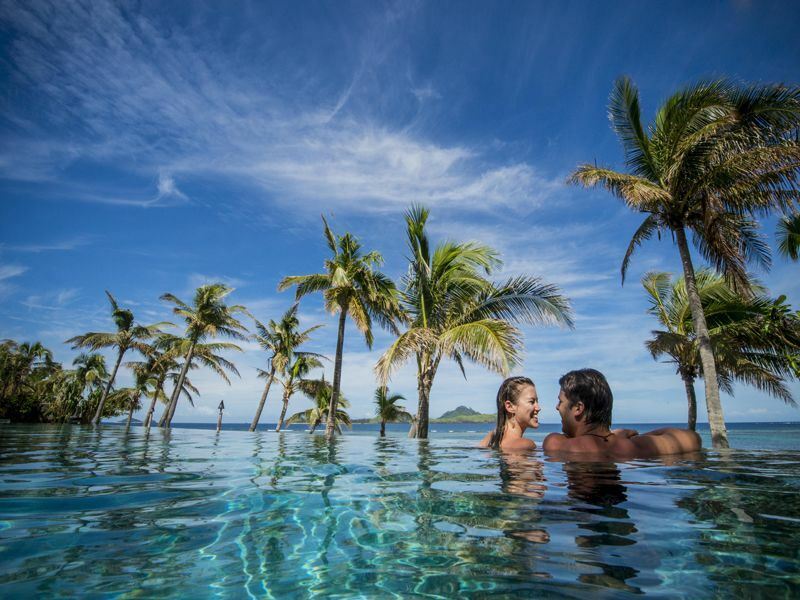 • Winter falls from May to October – in winter, Fiji is cooled by trade winds and has lower humidity levels. The weather is usually drier and cooler, ranging from 19 to 26 degrees Celsius. • Summer falls from November to April – it’s usually wet and hot during the summer, with temperatures reaching up to 30 degrees Celsius. Heavy rains fall in the afternoons but mornings are pleasant, yet it’s extremely humid with a chance of tropical cyclones. During summer, the vegetation is lush and waterfalls are at their most spectacular. There are no direct flights from the UK to Fiji. Connections are available from Air New Zealand, which go daily from London Heathrow to Nadi via Los Angeles and take 26-and-a-half hours. Another option is to fly with Korean Air from Heathrow via Seoul. You can also fly to destinations like Hong Kong, LA, San Francisco and Singapore, which offer connecting flights to Fiji with Virgin Australia, Qantas or Fiji Airways. Ask your hotel in Fiji about free airport transfers, taxis are also readily available on arrival. Since the flight is so long, it makes sense to have a stop-over en route to Fiji. Extend your trip with some city sightseeing in Hong Kong or LA for example, followed by beach time in Fiji. You can also combine your trip with a visit to New Zealand, which has cheap onward flights to Nadi. Other nearby countries you may like to explore include the Solomon Islands, Tonga, Vanuatu and New Caledonia. Fiji has strict regulations regarding entering the country with food products. Be aware that any food, perishable items and plants will probably be confiscated on arrival. 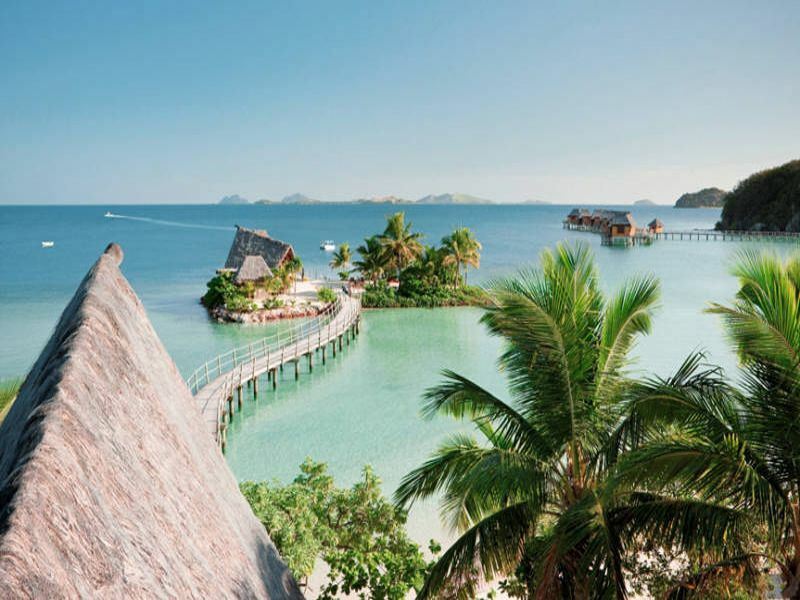 • Internal flights – you can fly from the international hub at Nadi, on the largest Fiji island Viti Levu, to many other destinations around the country. Flights normally cost less than £100 one-way to the second and third largest islands, Vanua Levu and Taveuni. You can also fly to more remote islands such as Rotuma, Cicia and Lakeba. Internal flights typically take around two hours and are operated by Fiji Airways, as well as Northern Air and a couple of seaplane companies. • Bus – there’s a good bus network on Viti Levu and Vanua Levu. Journeys are incredibly cheap and there are express services between Nadi and Suva, the main towns on Viti Levu. Look for companies such as Coral Sun and Pacific Sun for the most comfortable options. You can also get a four-day hop service to explore Viti Levu with the Feejee Experience tourist company. • Boat – there are passenger ferries which run regular services between Viti Levu and Vanua Levu, as well as Taveuni, Ovalau and Kadavu. Fast-paced catamarans go back and forth to the Mamanuca Islands and there are long-winded shipping services to other islands. 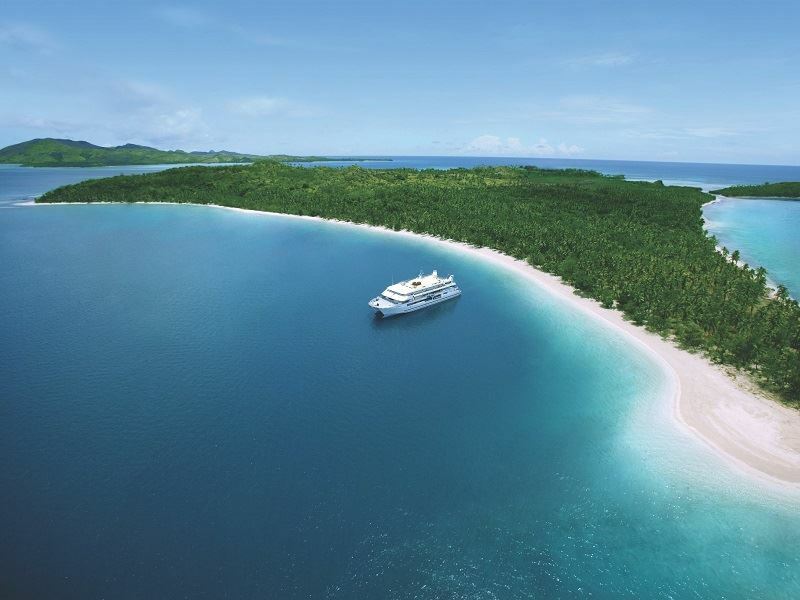 Many people opt to take a cruise or charter a yacht around Fiji’s many islands. • Car – it’s easy to hire a car from companies like Avis and Hertz to explore Fiji’s main islands independently. The rental rates are fairly reasonable, but fuel costs are higher. Make sure you have insurance and an International Driver’s Permit, you should also know the local road rules. There are taxi services on all the islands in Fiji and hotels generally offer free transfers on arrival. The currency is Fijian Dollars, but it’s worth taking some US, Australian or New Zealand Dollars as well, which are easy to exchange once you arrive. There are ATM’s in major towns in Fiji, but not all will accept foreign cards, look for ANZ and Westpac which are the most reliable options. Be aware that many banks charge a foreign transaction fee and you may also be charged by your UK bank for using your card overseas. Check this with your bank before you travel and inform them of your plans so they don’t block your card due to suspicious activity. Fiji uses 240 volts with a frequency 50Hz. Be sure to take an Australian-style, three-pinned flat adapter with you. While there’s no malarial risk in Fiji, the country does have Dengue Fever and the Zika Virus, which are both mosquito-borne. There are no vaccinations for these diseases, so be sure to avoid bites by using insect repellent with DEET and covering up in the evenings, especially in forested areas. If you start to feel unwell, seek advice from a medical professional. Fiji is 12 hours ahead of GMT..
Fiji boasts a variety of festivals throughout the year due to its diverse cultural makeup. 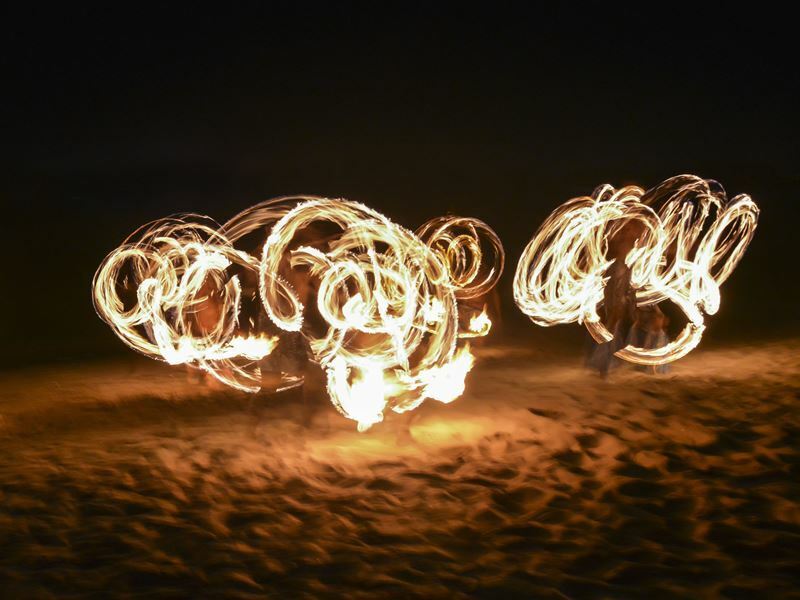 Highlights include April’s South Indian Fire Walking Festival, performed on Beqa and the Coral Coast on Viti Levu. During the festival, Hindu priests pierce their faces and people take part in fire walking, which is thought to be physically and mentally cleansing. Crowds throw multi-coloured powders over each other to symbolise reconciling relationships during the Indian Holi Festival in March. There’s also the popular Hibiscus Festival in Suva, a nine-day event in August. This annual beauty pageant also involves live music, stalls, dancing and parades. Cambodian food relies heavily on fish and its paste is used as a flavouring in many meals. Fish is served grilled, stir-fried with herbs and spices or cooked into curries such as Fish Amok. Rice is served with most dishes and somlars, soups, are common accompaniments. For cheap eats, visit the street stalls, markets and local eateries. In tourist destinations, there are western-style restaurants, many are run by NGOs and employ local people. Fijian food is a rich mix of sweet potatoes, rice, coconut and fish combined with Indian elements introduced by people who migrated to the country in the 1870s. Spiced dishes of local seafood such as octopus and shellfish are popular, especially Kokoda, which is a ceviche made from mahi-mahi fish. Meals are often served with a root-like potato, taro, while meats and vegetables are wrapped in leaves and slow cooked on heated, covered stones known as Lovo. Vakalolo is a popular pudding of cassava with sugar and coconut cream. There’s a lively nightlife scene in Fiji, with popular open-air bars and beach-side clubs spread across the islands. Most of the action is based in Suva City and tourist hubs Sigatoka and Denarau. Locally-produced rum is popular, as are local wines made from coconut. You can also indulge in Fijian beer such as Fiji Gold, which is available all over the country.